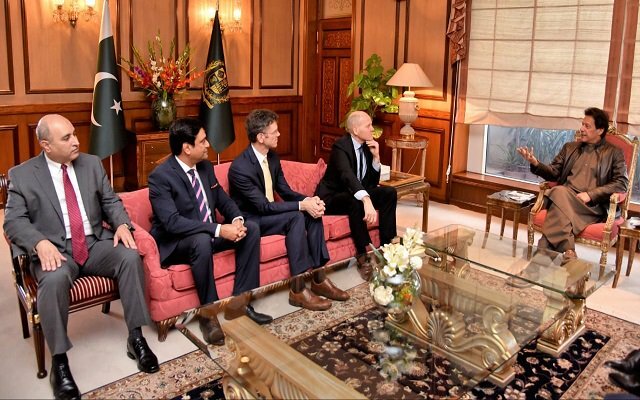 Islamabad: Sigve Brekke, President and CEO of Telenor Group, along with Irfan Wahab Khan, CEO of Telenor Pakistan and Petter-Borre Furberg, Executive Vice President Telenor Group met the Honorable Prime Minister of Islamic Republic of Pakistan Imran Khan to discuss the growing and evolving digital ecosystem in the country and Telenor Group’s longstanding commitment to the country. During the meeting, Brekke shared Telenor Groups journey to becoming one of the largest telecom and digital services provider in Pakistan. Sigve Brekke thanked the Government of Pakistan for its continued support for the telecom sector and for encouraging foreign direct investments into the country. In addition, they discussed possible collaborations to bring continued socioeconomic development and digitalisation for all. Brekke also highlighted Telenor’s commitment towards financial inclusion and informed the Prime Minister of incoming investment of USD 140mnas a result of the recently announced partnership with Ant Financial. The Prime Minister appreciated Telenor’s contribution in the telecom sector and said that the Government aims to develop a knowledge based economy in Pakistan and value Telenor as an important partner in developing the ecosystem that supports the Government’s development agenda. The Prime Minister reiterated that the Government is committed to transparency and facilitate investors and enable them take full advantage of huge potential existing in the growing economy of the country. Telenor Group has been operating in Pakistan since 2005 and has made a significant impact on the socioeconomic uplift of the country. The Group has invested over USD 3.5bn, contributed over USD 2.5bn to the national exchequer since 2005 and created over 5,000 direct jobs, in addition to hundreds of thousands of indirect jobs.